The Explore™ Chock 'n Lock is a revolutionary Australian Made and Owned innovation that locks, chocks, and stabilises dual axle caravans and trailers. Using the latest in injection-moulding technology, the Chock 'n Lock is made from a heavily reinforced plastic composite that is durable enough to last a lifetime. 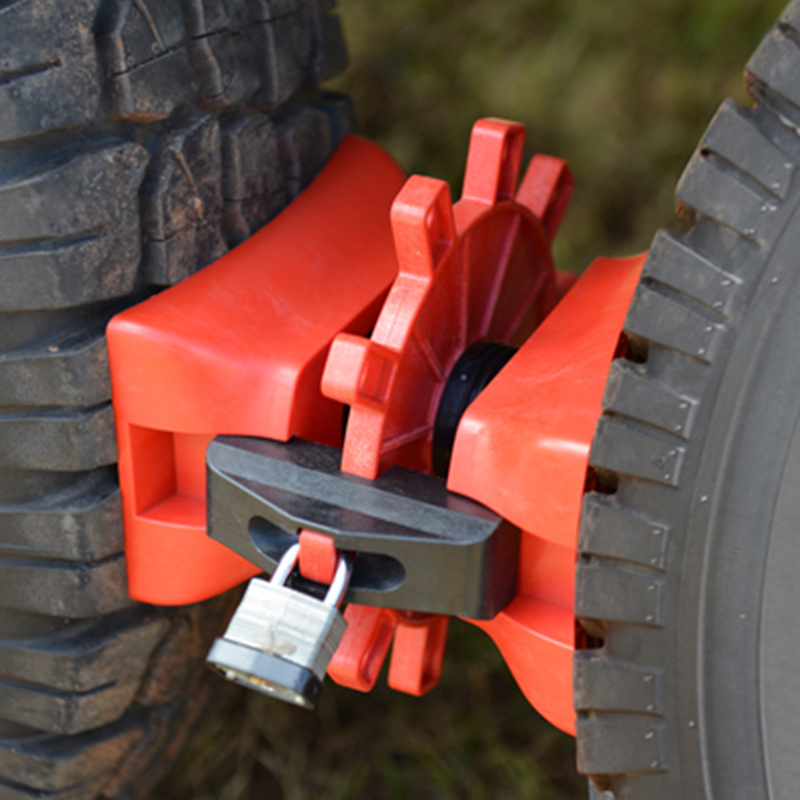 With a simple turn of a wheel, the Chock 'n Lock stabilises the suspension and eliminates the sway and movement commonly associated with dual axle caravans and trailers. The Chock 'n Lock is an ideal investment for anyone who owns a dual axle caravan or trailer. Two extension plates are included and can be added or removed depending on wheel spacing, with additional pairs sold separately. Suitable for use on most dual axle platforms, including caravans, boats, trailers, and horse floats.